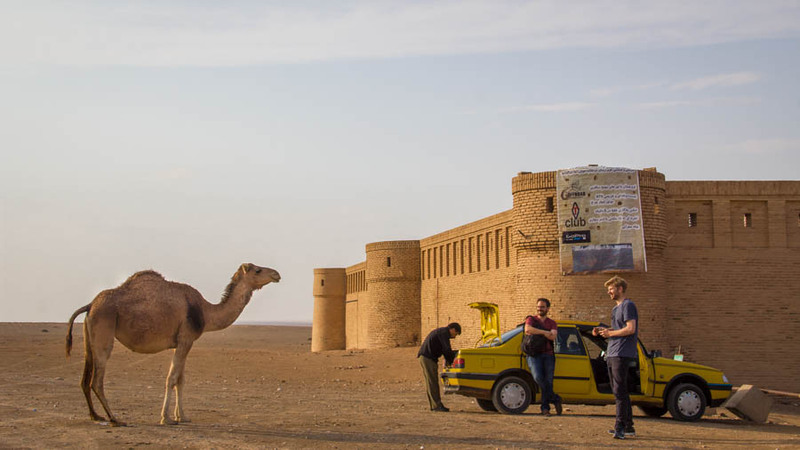 Due to Iran’s somewhat complicated political situation in the past, entering this truly unique country as a tourist hasn’t always been easy. 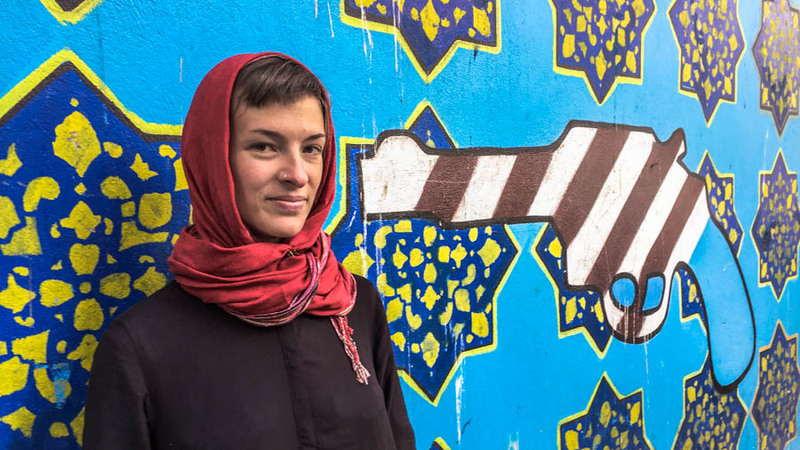 There are still a few challenges to traveling in Iran, such as the strict Islamic law and the massive firewall, but things are slowly changing for the better. Even though it may be a challenge to arrange a visa and travel around Iran, this country is worth the effort! One of these changes is that the Iranian government has decided to give the country’s tourism a serious facelift by loosening up the visa requirements as of 2016. 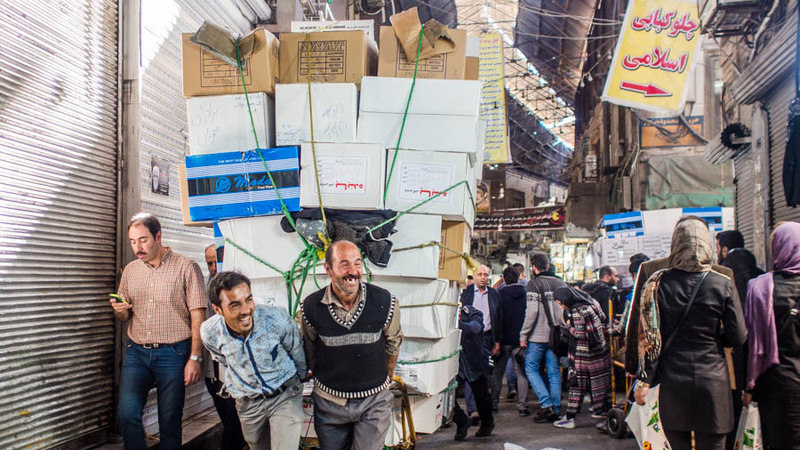 This initiative is part of a grand plan to increase Iran’s current 5 million yearly visitors to a whopping 20 million by 2025. For you as a traveler, this means getting an Iranian tourist visa for your next adventure has never been easier. February 2017 update: the visa situation for American citizens has been subject to ongoing changes since the proposed travel ban on Iranian citizens to the US. The Iranian Ministry of Foreign Affairs has stated that it “will take reciprocal measures in order to safeguard the rights of its citizens until the time of the removal of the insulting restrictions of the Government of the United States against Iranian nationals”. This means Americans will not be issued visas to enter Iran if Iranians are banned from entry into the US. To find the latest news, check out the Iranian Ministry of Foreign Affairs and The US Department of State. Instead, you’ll have to jump through some hoops to get your visa from an Iranian Embassy with the help of a tour agency/visa supplier. If you’re from the US, UK, or Canada you cannot travel around Iran independently and will have to travel the country on an organised tour (go to the FAQ section below for details). 1. Jump online and look up an Iranian visa supplier or tour company, like Uppersia or Caravanistan. 2. Pay them to get you a Letter of Invitation (LOI) from the Iranian Ministry of Foreign Affairs. This will cost you $50 – $70 USD. 3. Wait anywhere from a week to a month to get approval from the ministry. 4. Once approved, your tour agency/visa supplier will forward you a reference number. This reference number is connected to your LOI which has been passed on to the Iranian Embassy specified in your application. For US citizens in the states, this will be the Iranian section of the Pakistan Embassy in Washington. 5. Your tour agency/visa supplier will also give you some more paperwork that needs to be filled out. In addition, you will need to take some passport photos if you don’t have any spare ones. Females note that yours will have to be taken with the official Iranian dress code in mind. 6. With your paperwork, photos and money in hand, go to the embassy where your LOI has been forwarded. 7. Quote the reference number, hand over your passport, paperwork and the money for the visa fee. This fee can range from $50 – $200 USD depending on which country you’re from. See this list from 2014 to get an idea of how much you’ll pay. 8. After a few hours, your passport will be handed back with a brand spanking new Iranian visa inside. For the other 180 countries in the world, the visa on arrival is the cheapest and most hassle-free option. It’s available at all international airports in Iran and all you have to do is hand over your passport, some money, and a few other documents and you’re done. 1. Get off your flight and head towards border control. 2. Don’t go to the visa desk first, go to the travel insurance desk in the middle of the hall. This is where you’ll pay for your mandatory insurance or get proof of your already-existing travel insurance stamped. The Iranian insurance costs $16 USD for 31 days. 3. Go to the visa window and hand over your passport and booking confirmation for your first night in the country. Make sure your booking confirmation has a phone number on it. The immigration officers may use this to call your accommodation and confirm you’re actually staying there. They will then give you a piece of paper with the cost of your visa. Again, this fee depends on where you’re from and can range from $50 – $200 USD. 4. Go to the payment window next door and give them the piece of paper along with the money that’s owed. This payment has to be made in USD or Euro and can’t be paid by credit card. You will then be given a receipt you have to sign and hold on to. 5. Go back to the visa window and hand over the receipt of your payment. 6. Take a seat and wait. Once your Iranian visa has been approved you will be called back up to the window for collection. 7. The process should take anywhere from 45 minutes if you’re first, or up to 3 hours if you’re last in line. Do You Need a Letter Of Invitation For a Visa On Arrival? No, you do not need an LOI for a VOA. You can apply for an LOI and request for it to be sent to the airport, instead of an embassy. This should only be done if you want to speed up the process at the airport. Otherwise, save your money and just do the normal VOA process. Can a US, UK Or Canadian Citizen Go to Iran Without a Guide? If you really don’t want a guide, it is possible to get around this rule, but we wouldn’t recommend it. Basically, you just have to call a lot of different tour companies until you find one that will give you a special tour without a guide. You still pay for the guide, but he’s just not physically with you. The issue with this is that if you’re stopped by the police and you don’t have a tour guide with you, you better have a good cover story. Otherwise, you might be spending the rest of your holiday in a nice 2 x 2 cell. What Is The Length Of The Iran Tourist Visa? Both the VOA and the embassy tourist visa are valid for a maximum stay of 30 days in the country. This can be extended for up to 3 months once you’re in Iran. Can You Get A VOA If You’re Traveling Overland? Officially, the VOA for Iran is only issued at international airports. 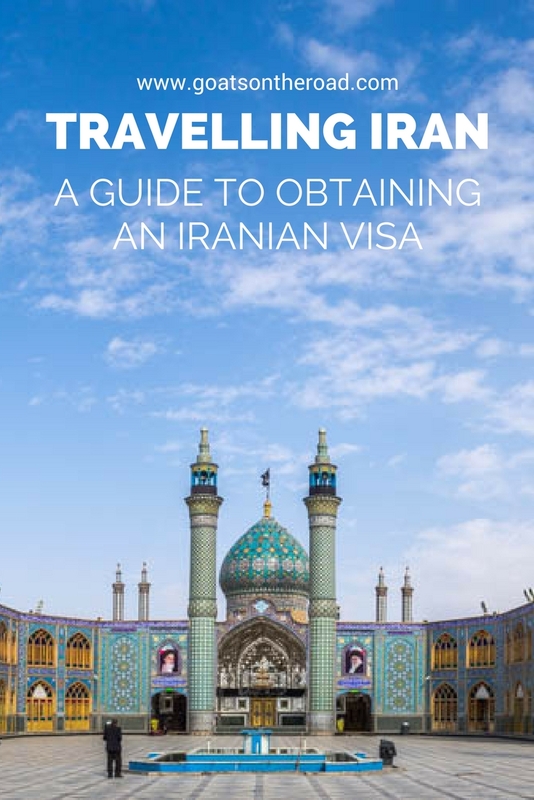 This means that if you’re traveling overland you’ll have to get your Iranian visa from an embassy, regardless of your nationality. You can do this in Turkey, Georgia, Kazakhstan, Tajikistan or Kyrgyzstan. However, if you want to take your chances, there is some talk online of an unofficial VOA at land crossings. Can You Go To The US After Traveling To Iran? As of 2016, if you travel to Iran as a non-US citizen, you will no longer be eligible for the Visa Waiver Program. But don’t worry, you can still enter the US, you’ll just have to apply for a visa from a US Embassy before going. Can I Go To Iran If I’ve Been To Israel? If you’re from Israel, sorry – you’re not allowed to enter Iran. This also goes for non-Israelis who have evidence of travel to Israel in their passport. Who Doesn’t Need A Visa For Iran? If you’re from Azerbaijan, Bolivia, Egypt, Georgia, Lebanon, Syria or Turkey, Iran loves you and you don’t need a visa. Kick back and enjoy being able to travel around Iran visa-free for 15-90 days. While you’re visiting Iran, you may want to check out the Mah Card. Mah Card is an Iranian prepaid debit card designed for tourists and temporary visitors. You can instantly add funds to your card, in your preferred currency and convert it to Iranian Rial (IRR). You may have to spend some extra money or fill out a few forms to get your visa for Iran, but trust us – it’s worth every cent and second. You’ll be blown away by the country’s colourful architecture, stunning scenery, fascinating culture, and exotic food. But, above all, you’ll be left speechless at the incredible hospitality of the Iranian people. If you’re into authentic adventures, Iran is a country you can’t miss! 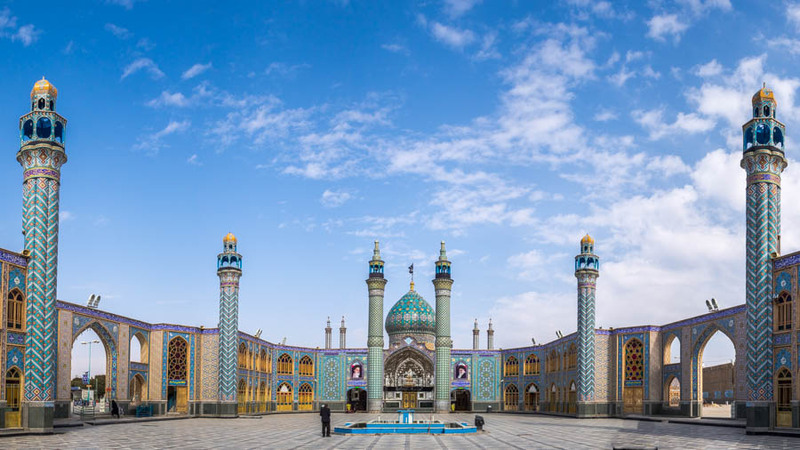 For more on Iran, check out the Ultimate Guide to Backpacking Iran. Liam and Mariana are an Australian-Danish couple who met under a palm tree in Panama sometime back in 2015. They’ve been roaming the globe together ever since, searching for cheap adventures off the beaten path. Drop by their website Rucksack Ramblings to check out their latest shenanigans and tips and get inspired to embark on your backpacking adventure! Iranian People: Are They Really As Nice As Travellers Say? Counting Down The Days Until Departure! As a Canadian, it’s too bad there are so many restrictions on us visiting Iran … let’s hope this changes soon! hi Andrew it’s Tina,I am Iranian, My husband and I are going to immigrate to canada so if you want to visit our country we are so appreciate to help you to get visa and visit here. Hi Andrew, Canadian passport holders can enter Iran only if they are accompanied by an authorized tour guide. This, however, doesn’t mean that your tour guide will watchdog you during the trip. You’ll have your free time to find things on your own and negotiate every aspect of your travel to customize your visit. Love your blog! I have been researching Iran lately. Just to re-iterate if you have entered Israel on your current passport (Im Australian who has a USA visa also) you will not be allowed in Iran? Do you have a post on the to things to do/see in Iran? Hi guys will all airlines let you on to the plane without a visa. Very informative article! Iran is a beautiful country. Hi Guys! Thanks for the informative post. I travel to Iran in 2 weeks- im British and have booked a tour with a company. Im awaiting my authorisation code in order to pick up my visa from the embassy – they are certainly taking their time! Im starting to get a little worried now :/ Hopefully they are just unorganised and haven’t refused me entry! Why don’t you state that it’s perfectly possible to travel independently to Iran, however you don’t personally recommend it? Plenty of people have travelled legitimately independently, and without a tour agency involved. They just get an Iranian citizen to get their code. Arrive, and do what they like. Very odd how many people are benefitting from Tour agencies perpetuating myths that benefit them. Also calls into question the legitimacy and reliability of your website. Thanks for your email. Calling out the legitimacy of our website seems a bit rude, however. This was an informative guest post from travellers who have been to Iran and needed to get a visa. We personally travelled to Iran independently – when it was possible for Canadians to legally do so. These days, as citizens of the UK, USA and Canada cannot travel there independently, they must go on a tour, or be sponsored as you say. However, most people don’t know Iranian citizens that can get the code for them. “If you really don’t want a guide, it is possible to get around this rule, but we wouldn’t recommend it. So, as he says, it’s possible, but not recommended as it’s illegal and would be a problem if you get caught. We personally love Iran and loved our month spent there travelling independently. Thanks. That intel was sooo helpful. Leaving in early May for 2 weeks and can’t wait ! One question. ..do I need to pay the BOA fee in Euros?